Curtis E. McRae, D.D.S. has been providing exceptional dental care to his patients in the North San Diego County community of Oceanside for over 20 years. Dr. McRae began his dental career as a dental technician for five years after graduating from the Dental Technology Program at Orange Coast College. Dr. McRae received a Bachelors Degree in Liberal Studies from the University of California at Riverside, and a Doctorate Degree in Dental Studies from the University of Southern California in 1991. 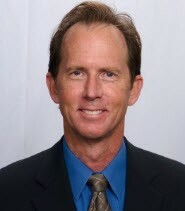 Currently Dr. McRae maintains membership in good standing in the American Dental Association, California Dental Association, San Diego County Dental Society, North County Implant Study Group, California Center for Advanced Dental Studies, San Diego Cerec Study group and the Trojan Horse Study Group. To stay current with dental health information and clinical techniques, he and his staff attend annual post-doctorate educational courses to provide their patients with the best oral healthcare possible. Dr. McRae and his family have lived in the North County area since 1989. He has been an active member of the Rotary Club since 1994 and served as president of the San Luis Rey Rotary Club. Dr. McRae is committed to a healthy lifestyle and enjoys surfing, snowboarding, golfing, wakeboarding, and playing the guitar with his band.